When looking at purchasing a new car, truck or SUV, there are many different options to consider. VW’s finance page has tips, payment calculators, and more, to help guide you through the car buying experience. You can either pay cash, finance or lease a new or pre-owned Volkswagen. There are advantages to all 3 and below is a breakdown to help determine the best option for you. 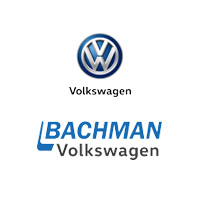 If you need more information, feel free to call (866) 578-1101 or visit Bachman Volkswagen’s Finance team, who will help you choose the best option for your next Volkswagen. When leasing a new Volkswagen, the payments are usually less per month than if you were financing. With a lease you only pay for the portion of the vehicle you use. At the end of the lease you can purchase it for a predetermined residual value. You can also walk away and get into something else. Sales tax, use tax, and other affiliated fees are often associated with a lease payment. Monthly payments are often higher because you are paying for the entire vehicle. Over the course of the loan you are responsible for the selling price, taxes, license, registration and any other fees. At the end of the loan you own the vehicle. Whether you finance or lease, while you are making payments the bank owns the vehicle. Very few people actually pay cash for a vehicle. There is no denying it is nice to have no monthly payments; however, when you own a depreciating asset you are technically still making payments. Paying cash for a vehicle ties the money up where you can’t access it in the event of an emergency. With rates as low as they are many of our customers finance or lease in order to gain access to their money. Lease rates, also called money factors, are determined by the manufacturer or lessor and are provided to the customer based on approved credit. These rates change frequently so check out our current models with leasing rates / specials here. Annual Percentage Rates (APR) for vehicle purchases are required to be disclosed by federal law. You can check APR specials here. At the beginning of a lease you may pay cap cost reduction (what would be called the ‘Financed Amount’ in a loan), government or lessor charges, insurance, first monthly payment, security deposit, any prior lease or credit balance. When you buy your Volkswagen, you could pay the full price and purchase the vehicle outright or you could make payments through a loan. You will have to pay sales tax or other state taxes, government or lender charges, insurance, first monthly payment, a security deposit, prior vehicle loan balances, or a prior credit balance. Some lease requirements restrict lessees from moving out-of-state with the vehicle. If you are considering a future move, you should check the terms of your lease closely and speak with your dealer regarding questions. Additionally most leases restrict the maximum number of miles the lessee can drive the vehicle per year, with overage charges for additional miles driven. Buying a vehicle, either outright or by financing, often do not restrict moving within a country, but may restrict moves outside the country. There are no mileage restrictions or penalties with your own vehicle. Drive an unlimited number of miles – especially important if you typically drive more than 12,000 to 15,000 miles per year. GAP coverage is not required for financing a purchase, but it is still a good idea in case of a disaster, such as a total loss. GAP insurance would also cover the full value of the totaled car. However, it’s not usually included in loan agreements and must be purchased separately. Many people lease for the length of time the manufacturer’s warranty is in effect, that way most repairs are typically covered. However, leases will specify what charges there will be for wear and tear when the vehicle is returned. Since the Volkswagen is yours, you won’t have to pay for wear and tear up-front. However, wear and tear could impact trade-in or resale value. At the end of your lease, you have several options. You can lease another new Volkswagen or buy the one you’ve come to know and love. The choice is yours! When you finish paying off your loan, the Volkswagen is yours! You can keep it for 10 more years, sell it or trade it for a newer Volkswagen. The total costs for financing a vehicle are generally more than leasing. However; at the end of the loan term you own your Volkswagen.